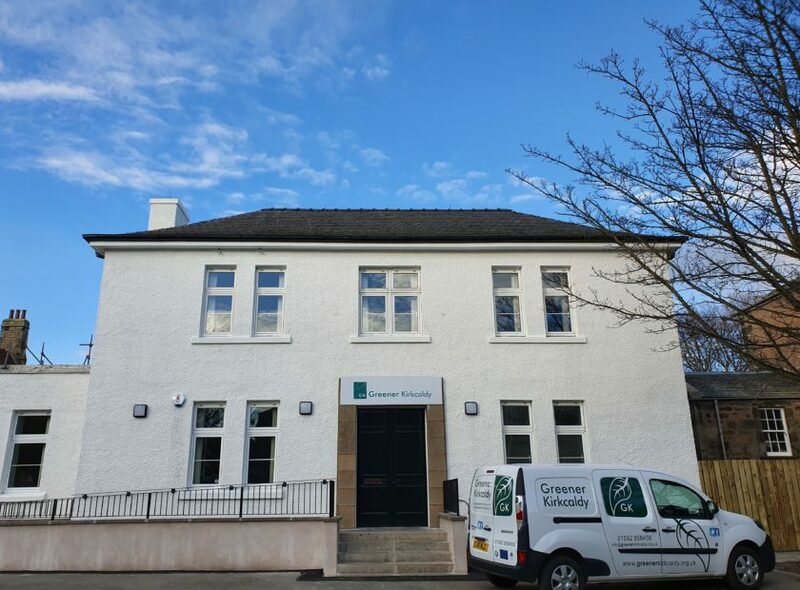 We’re delighted to announce that we have some exciting events coming up at the end of April and beginning of May to celebrate the opening of Greener Kirkcaldy’s new building on East Fergus Place and the launch of our ‘Lang Spoon Community Kitchen’. We’re having a Greener Kirkcaldy Member’s Only preview on Tuesday 30th April and a Community Open Day on Wednesday 1st May. Everyone in our community is invited to join us at our Open Day on 1st May, 2pm – 6pm. We have a very special guest joining us – Jamie Scott, BBC Professional Masterchef winner from Fife, and Chef/Patron of The Newport Restaurant. He’ll be welcoming everyone and giving food demonstrations to celebrate the diversity of local and seasonal produce in Fife. Keep an eye out for our exclusive competition to join Jamie for an hour-long cooking workshop in The Lang Spoon Community Kitchen at the Open Day! You’ll also get to meet the Greener Kirkcaldy Team and hear all about our forthcoming activities for our Energy, Waste, Transport, Kids, Food and Growing projects. We’ll be launching a new cooking and food events programme (starting in May). Some of the workshops we have lined up are Breadmaking, Cooking for Beginners, Family Cooking, Children’s Cooking, guest workshops with local chefs, Cooking round the World, Plant-based cooking, and lots more. Our Outdoors Project team will also be on hand to tell you all about our Community Training Garden up at Ravenscraig Walled Garden, including our growing workshops covering all aspects of gardening – from planting to harvesting, weeding to composting, a series of Herbal workshops with Solar Ripe, cider making, picking and fermenting, and more to be announced. They can also talk to you about our Natural Play project and Kids Clubs. It’s all kicking off at 2pm and we’d love to see you there! Please note: There is disabled access only parking on site. Free parking at Kirkcaldy train station 5 minutes away. We are also five minutes away from Kirkcaldy Bus Station too.